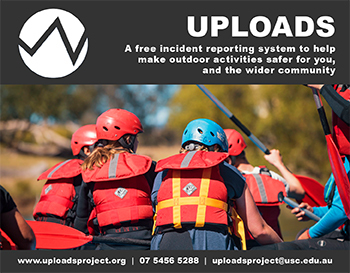 A web-based application used to record: incident reports; participation in outdoor activities; and action plans used to prevent incidents.� Led Outdoor Activity (LOA) providers can use the UPLOADS App to collect and analyse detailed information to formulate data-driven incident prevention strategies. It is the only incident reporting tool that is underpinned by Systems Thinking, which recognises that safety is impacted by the decisions and actions of everyone in the system, not only frontline workers, such as activity participants and leaders. 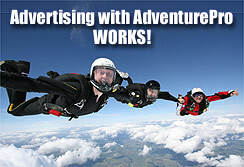 It is cloud-based and can be accessed from any computer, tablet or smart phone, and can be done offline! It automatically generates reports on your incident data, saving you time. It allows you to benchmark your organisation�s incident data against other LOA providers. Use of the App is free until the end of 2020. Using the UPLOADS App allows you to contribute to a cutting edge research project aimed at improving the safety of led outdoor activities. network of contributory factors involved in incident causation. Already have an established incident reporting system, but still want to contribute to the Research Project? We are inviting organisations who don�t use the UPLOADS App to be apart of the research project as a control group.� Participation requires the submission of your organisation�s de-identified incident reports, participation data, and action plans to the research team for further analysis. Copyright © University of the Sunshine Coast. 04.03.2019. All Rights Reserved.